The weather was starting to feel like fall in the Chicago Suburbs and then we had a “heat wave” hit the last couple days. We had just enough cool weather to get me thinking about fall. 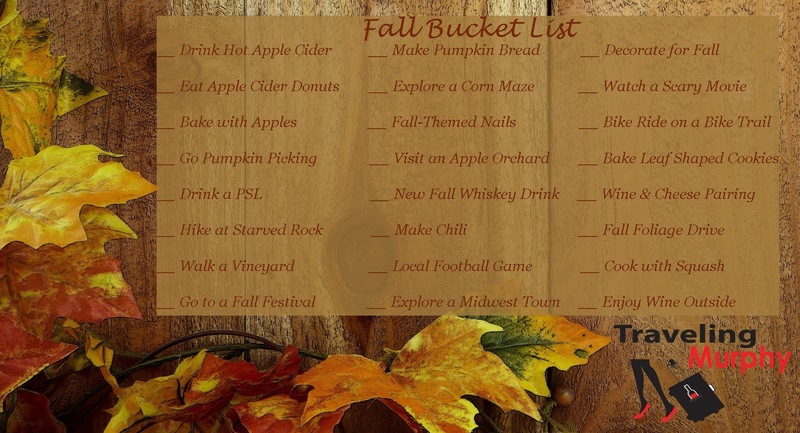 Check out my fall bucket list. Now that you see what I will be up to this fall let me know the activities you would add to this list. So many fun ways to get out and celebrate this amazing season of hoodies and PSL.